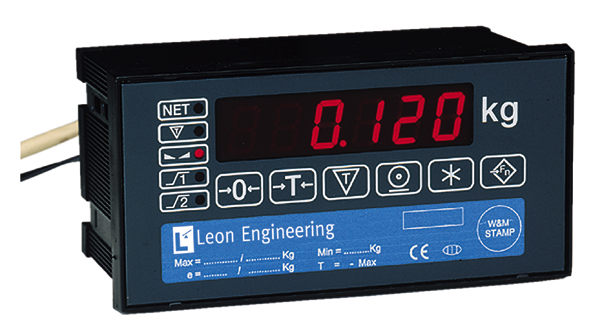 The weighing indicator LD5250 is a member of the LD5200 series of digital indicators and controllers, designed for demanding weighing applications with the need of digital and analogue interfacing to higher level process control equipment. Industrially oriented hardware and proven software allow simple operation at high accuracy and reliability, in a small panel mount enclosure and at an attractive price. Up to 30 units can be connected via industrial Network to a PC for multi-weigher applications. Display resolution up to 99,000div.